I hope you didn’t buy an off the plan apartment. Alarm bells are ringing for those who bought an off the plan apartment a few years ago. Investment bank UBS warned that three in 10 new apartments sold off the plan in Sydney are now settling with a lower valuation than the original contract sale price. And it’s much the same in Melbourne. This comes at a time when many banks are lowering their loan to value ratios for off the plan apartments meaning that investors have to find an even bigger deposit as the banks lend a lower percentage of a figure that is already less than the contract price. Of course we have been warning investors to steer clear of off the plan apartments for years and have never bought this type of property for clients of Metropole. Corelogic’s recent Pain and gain report showed that the share of capital city apartments resold at a loss compared to the prior purchase price had risen to 14.3 per cent, the highest level since the 1990s. UBS say the main driver of price falls is a reduction in borrowing capacity for the marginal buyer. “We are concerned that without policy easing, the largest price fall in decades could break the ‘buy the dips’ mentality and belief that ‘house prices only ever go up’,” UBS analyst George Tharenou wrote in a note to clients. And there is still a huge supply pipeline with some 229,000 dwellings under construction, meaning that a significant portion of investors who bought these properties face the prospect of negative equity and this could risk an increase in settlement failures. Of course off the plan apartments were always overpriced, when you took into account developers margins, marketing costs and the many middle men involved in some of the projects. But during the boom a rising market covered up many mistakes. On the other hand established apartments in well located smaller boutique blocks in Sydney and Melbourne still make great investments. So what steps should you take next? Independent professional advice and careful consideration is as important as ever in navigating Australia’s varied market conditions. 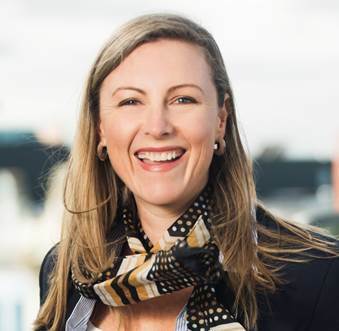 Kate Forbes is a National Director at Metropole Property Strategists. She has 15 years of investment experience in financial markets in two continents, is qualified in multiple disciplines and is also a chartered financial analyst (CFA). Read more Expert Advice from Kate here!